Mitsubishi owners in Truckee turn to the ASE-Certified auto mechanics at Quality Automotive and Smog when they need trusted auto repair services. Rugged individuals living in the mountains can trust this home team to know your Mitsubishi so you can depend on it to get you where you need to go, and want to go, every day. Whether it’s to work or play, Quality Automotive and Smog has the right parts, tools, and technology to get the job done right the first time. Mitsubishi was the first Japanese auto manufacturer, producing the first passenger automobile in 1917. Since then they have been on the cutting edge of performance. 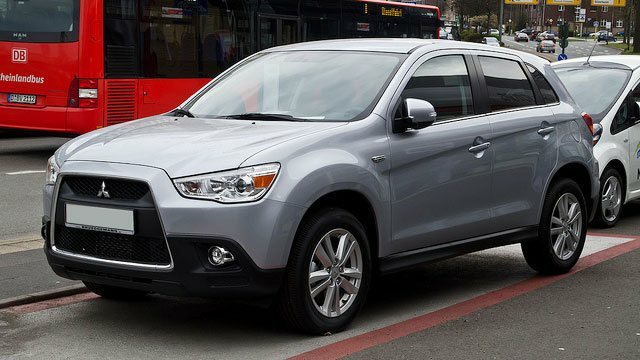 Quality Automotive and Smog’s team of ASE Master technicians are incredibly familiar with your Mitsubishi. Whether it’s an Eclipse, EVO, Lancer, or an Outlander, you can depend on your vehicle when you rely on us. “Excellent service, great new location, and coffee while you wait.” -- Frank & Lynne G.
You will not find a more qualified, honest, and friendly auto repair shop than Quality Automotive and Smog in Truckee. Whether you live in Tahoe City, North Lake Tahoe, Kings Beach, Carnelian Bay, or beyond, we are your home team for all things Mitsubishi auto repair and service. We are loyal to our customers and encourage you to take advantage of our ServicePlus Red Check program that includes an extended warranty, free local towing, seasonal benefits, and a dividend program. We are conveniently located at 11500 Donner Pass Rd, Unit D, Truckee, CA 96161. It’s easy to find us and easy to find a good cup of coffee, food, or a new pair of skis/bike nearby while we work on your car. In the summer, you may consider borrowing our electric bike to tour Donner Lake while you wait. Open Monday - Friday from 8:00 AM - 5:00 PM, and closed from noon to 1 PM. Request your appointment online today!